Release your inner "ninja warrior” as you attempt to conquer our largest obstacle course! 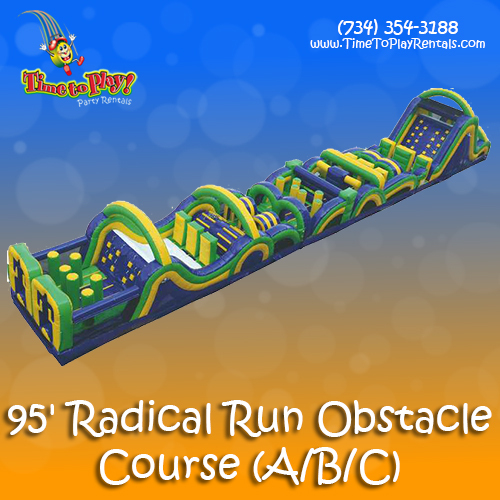 This 95’ Radical Run Obstacle Course is one of the best in the industry, featuring every imaginable obstacle along the stretch and ending in a climb to the top of a 16’ slide! Race your opponents over, around and through each barrier to see who makes it to the finish line first! If you have certain space requirements for your event, check out other configurations of this amazing obstacle course! Perfect for school, church, corporate, neighborhood and any large social event!